In 1919, when describing an outbreak of 315 cases of meningococcal disease on his military base, Dr. William Herrick stated that despite immediate medical attention, “No other infection so quickly slays.” Even though significant advancements in critical care medicine have been made in the nearly 100 years since, there has been very little change in meningococcal disease fatality rates. Up to 15 percent or more of adolescents who get meningococcal disease die. That may be just a statistic to some, but we must not forget that it represents real people and real loss. My son Evan died of meningococcal disease 17 years ago and through NMA I have met too many others who share my heartache. Because of these experiences, our mission is to spread the word about prevention so that no one else has to lose a loved one. Teens need to be vaccinated against serogroups A, C, W and Y as recommended at age 11-12 and again at 16 and parents should to ask a healthcare provider about getting their teens the serogroup B vaccine. Don’t hesitate, #BVaccinated. So what are we talking about when we talk about national policy discussions? Once a vaccine is approved by the U.S. Food and Drug Administration (FDA), the Centers for Disease Control and Prevention’s (CDC) Advisory Committee on Immunization Practices (ACIP), a group of medical and public health experts, makes recommendations on how the vaccine should be used in the U.S. Once the recommendations are approved by the Director of the CDC and published, they become part of the official immunization schedule. You can learn more about the ACIP and the recommendation process here. 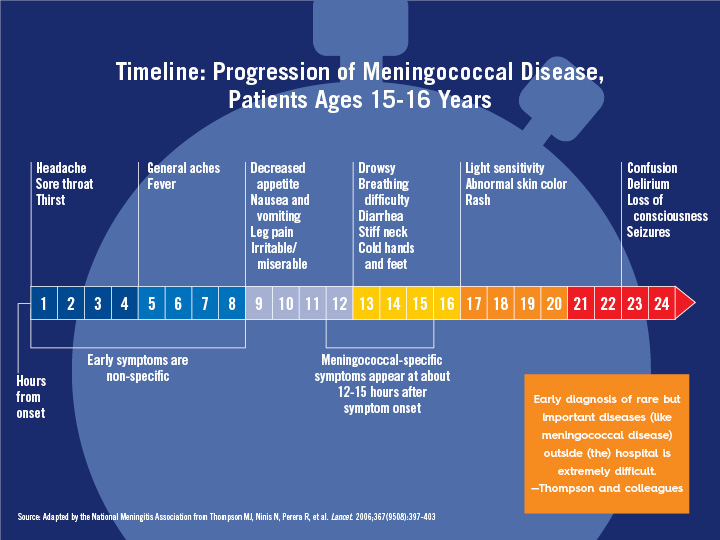 The CDC currently recommends routine vaccination with meningococcal quadrivalent vaccines that protect against four major serogroups (A, C, W and Y) for children at 11-12 years old with a booster dose at age 16. Following recent FDA approval of two vaccines that protect against a fifth major serogroup (B), ACIP voted to recommend serogroup B vaccination for a small group of individuals who are at increased risk for contracting this infection. This includes people with a rare immune deficiency or problems with their spleens, scientists who work with meningococcal bacteria in labs and those who are in the middle of an outbreak setting, like college students on a campus where meningitis cases are occurring. ACIP will be meeting again in June to discuss broadening these recommendations to provide protection to more people. CDC’s recommendations are guidelines, not requirements. Some states have policies to help increase meningococcal vaccination rates by requiring either education (parents and/or students must be informed about meningococcal disease and its prevention) or actual vaccination for school entry. These policies are almost always based on the CDC recommendations. States with one or more vaccination mandates tend to have the highest meningococcal vaccination rates. In some states without a vaccination requirement, colleges and universities have their own requirements for enrollment. Why is a CDC recommendation so important? Because vaccination is the best protection we have and NMA supports the broadest possible access to all vaccines. A recommendation from the CDC makes this possible by setting vaccine schedules, prompting healthcare providers to recommend vaccines, and potentially reducing financial barriers. Coverage rates for the A, C, W and Y meningococcal vaccines, which were first recommended routinely in 2005, have increased every year from 2006 to 2013. Nearly 80 percent of teens between the ages of 13 and 17 have received at least one dose. While we still have more to do to increase uptake of the booster dose (only 30 percent of teens who received the first dose also received the booster in 2013), it has only been recommended since 2011. However, these vaccines alone are not enough because they do not protect against serogroup B, which currently causes about one-third of all U.S. cases and the majority of meningococcal disease in U.S. adolescents. NMA is working to educate about the availability and importance of serogroup B vaccines, but we believe that adding them to the routine recommendations is the best way to make sure that all adolescents are protected. It’s the right thing to do. Meningococcal disease comes out of the blue. 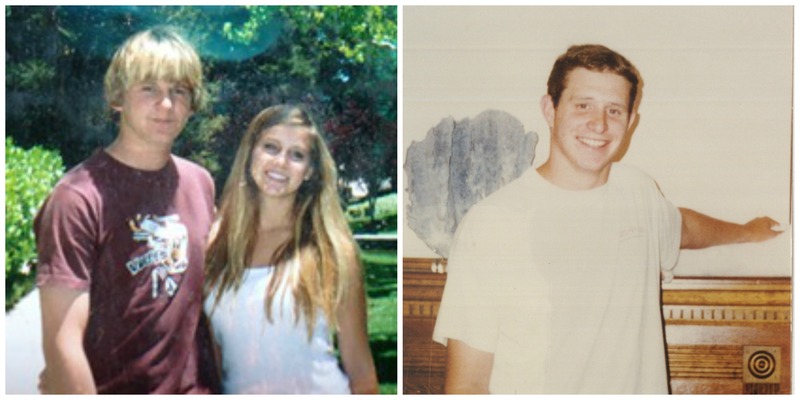 One day you have a healthy child and then the next day they’re fighting for their life. If left untreated, the disease can progress rapidly and kill an otherwise healthy person in 48 hours or less. This speed is part of what makes this disease so frightening—it also makes prevention critical. Let’s make sure all teens receive the vaccination against serogroups A, C, W and Y as recommended at age 11-12 and again at 16, and talk to a healthcare provider about getting #BVaccinated.